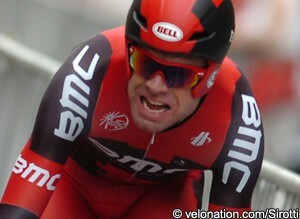 Cadel Evans (BMC Racing) is looking ahead to the next few stages of the Critérium du Dauphiné with confidence, but has one eye on defending race champion Bradley Wiggins (Team Sky). The Australian Tour de France champion currently sits second overall, following his stage one victory, just one second behind the British champion, with tomorrow’s time trial and the three following mountain stages to come. The two riders will be battling for the Dauphiné’s yellow jersey, but it is that of the Tour de France that both riders are focussing on. 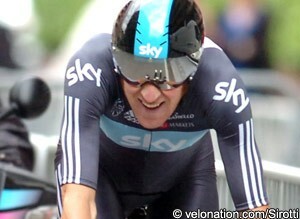 With Wiggins in the race lead however, and with the British rider specialising in the race against the clock, Evans expects the Team Sky rider to be his biggest challenger. Wiggins himself is confident ahead of tomorrow’s test, having been shepherded through the preceding stages by Team Sky, and it is them that he credits for his current position. While the 53.5km course will not feature any classified climbs, and nothing in comparison to the Alpine ascents that will be scaled in the days that follow, tomorrow’s time trial will feature very little flat and should provide a stiff test.